How long does it take to recover from medical abortion ? Recovering after an uncomplicated pregnancy termination will be different for various women and will depend on how far along the woman was in the gestational stage when the abortion occurred. Most women will recover quickly within few numbers of weeks. In fact, most women can return to their daily activities and work after few days of rest. 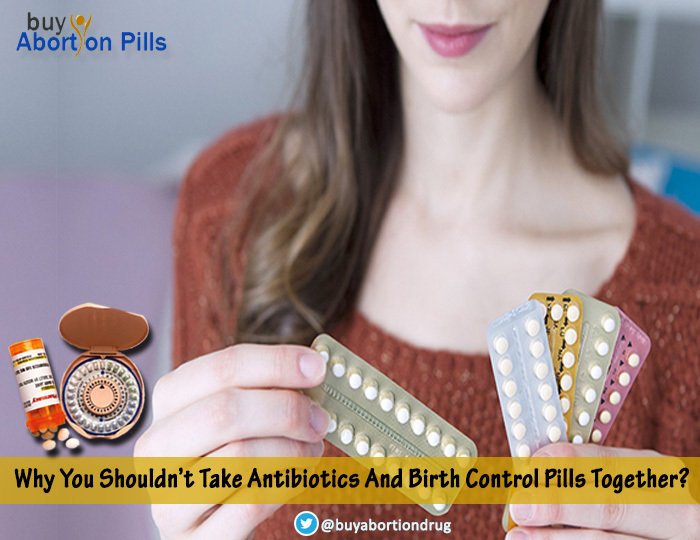 Many healthcare experts actually recommend delay returning to work after the procedure as you will experience bleeding/ cramps [side effects of taking Mifepristone and Misoprostol abortion pills]. This usually happens for 1 to 2 days after taking the secondary abortive drug, i.e. Misoprostol pills, which has ecbolic properties and thus causes uterine contractions in the womb. 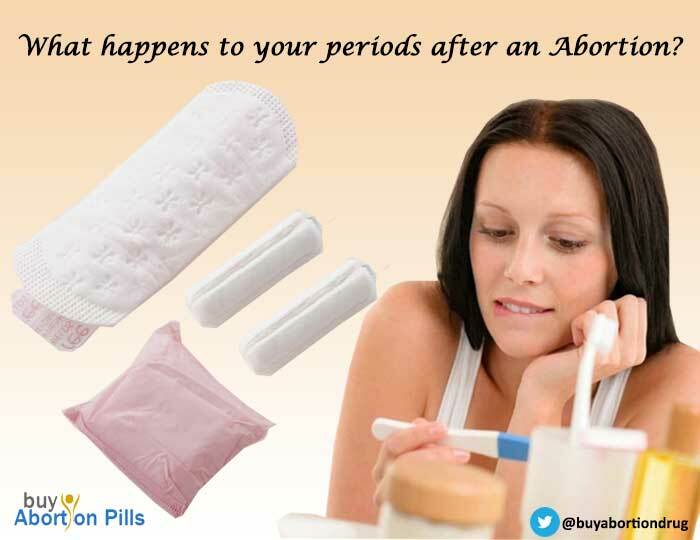 After a procedure with abortion pills, you will experience cramps and bleed and you will also pass blood clots/ tissues. The process may take within 4 to 5 hours and is usually completed within 1 to 2 days. Very occasionally, however, it can take up to two weeks [ 14 days] to pass the pregnancy. Once the conception parts have been ejected, your bleeding will eventually reduce and will feel like a somewhat heavier menstrual cycle that you may normally experience. The heavy period like bleeding may continue to occur for more than a day or two as the uterus needs to shrink and then come back to its natural state after the process. If the menstruation is heavy for more than two days, like for e.g. you are drenching more than two sanitary pads in one or two hours, then you must immediately contact a healthcare professional. Most women experience recurring cramping pain after an abortion pill procedure. This cramping pain usually lasts for about 7 days – a week and can be subdued with ibuprofen, paracetamol and heating pads/ hot bottles etc. It is advised not to use Aspirin following a medical or even a surgical abortion, as doing so can increase the risk of excessive bleeding. Following a pregnancy termination, it is completely normal to feel a range of feelings from relief to guilt or sadness. For most women, these feelings fade after few months. As per a study, women who had taken the decision to abort by themselves had more feelings of relief and lesser guilt. It is recommended that women seeking abortive services should have someone with them while they visit a clinic or start the process at home. There are many confidential counseling services as well as helpline numbers available for women who have had abortive treatments. Therefore, these women can book as many as sessions they need. A pregnancy test (even after 4 weeks of abortion) [as hCG. pregnancy hormone takes 4 weeks to leave the body even after the pregnancy is canceled]. If you associate with the above-given symptoms, then you must call for medical attention. This entry was posted in Abortion Pill and tagged abortion pills, mifepristone and misoprostol on March 30, 2017 by adbuyabpsnet. What happens to your periods after an Abortion? Women who have undergone pregnancy termination frequently wonder when their body will return to normal. As to be expected, the abnormal levels of stress in the woman eventually affects the menstrual cycle which causes changes in the monthly cycle after getting the pregnancy terminated. Therefore, in some cases, it takes several months for the regular menstrual cycle to return, while for others it returns fairly quickly. In essence, the time required for the normal periods to return back depends upon how far along the pregnancy was when the woman got it terminated. It also depends on the type of procedure- whether by abortion pills or by surgery. An abortion is when a pregnancy is ended with the help of surgery or medication. Even if the growth of the fetus is at its earliest stage, the body is filled with pregnancy hormones. Moreover, the body signals various organs to start expecting the pregnancy. In the event that the pregnancy is not showing growth, the body expels it naturally or a healthcare professional can end the pregnancy clinically. This sudden absence of pregnancy further confuses the body and causes hormones to go out of control. Therefore, it takes some time for the body to resume to its natural state prior conception. Bearing in mind that if a trained healthcare professional performed the procedure, the less chance of complications and shorter recovery times it will take after the pregnancy termination. The sooner the pregnancy termination takes place, the less complicated it is and the less risk of difficulties there will be in later pregnancies. After an abortive procedure, your ovulation cycle should take place within 7 to 10 days and similarly your periods should start within 4 to 8 weeks. If the pregnancy was terminated in the first trimester, i.e. before 12 weeks, then the menstrual cycle should return in 4 to 12 weeks after an abortion. The first period would be much lighter and would not last the regular time period after a surgical procedure. If you have terminated using Mifepristone and Misoprostol , i.e. abortive medications, you must expect heavier menstrual period than normal in the first cycle after the procedure. What changes happen in your body during your first period after the abortion? During this cycle, your body’s first priority is to expel all the remaining parts of the gone pregnancy. This includes the embryonic tissues together with other wastage from the uterus which are seen by the heavy bleeding. You may consider that to be your primary menstrual cycle after the abortion. It may happen within few days or it may take few weeks. If you aborted with an abortion pill kit, then you can surgically remove the remaining conception parts if needed, such can happen in a rare case. In such situation, you may not go through the heavy bleeding. Your regular period may be overdue for a few weeks as your system waits for the hormones to set in. After an abortion pill pregnancy termination, an irregular menstrual cycle might be less hurting and heavier than a normal one. Similar to most people, you could recover from a pregnancy cancellation in a few days if everything is done as instructed. It is advised however to contact a professional in case the cramps and heavy bleeding continues for over 24 hours after the termination procedure. In fact, a fever can be a sign of complication that is keeping you away from full recovery. Returning to normal menstrual cycle is not a problem for most women, irregularity is. The reasons for irregular periods are due to the body retaining some pregnancy hormones for a number of months. Even after the pregnancy is terminated, the body will continue to be affected by these hormones. It is only when these hormones are completely flushed out of the body, will the regular menstrual period begin like it was before conceiving. When the periods return to normal, there are many alterations due to aborting that you may continue to feel as long as a year. These changes are – the duration of each bleeding cycle, the amount of bleeding and cramps. You may also experience pregnancy symptoms like fatigue or swollen breasts. You may experience this during the initial menstrual cycle following the abortion. Cramping and post menstrual syndrome may also be experienced after aborting. If you have gone through the surgical abortive procedure, there is a possibility that your first period will be lighter and short. If your initial period after a surgical abortion is heavier and long lasting, you must immediately call a doctor. If you underwent medication abortion, i.e. by MTP Kit, you will experience heavier and longer flow. This entry was posted in Abortion, Pregnancy Termination and tagged buy abortion pills, pregnancy ending on March 10, 2017 by adbuyabpsnet. For many women abortion is the only decision they can live with. However, most cultures and societies are harsh on women who decide to have their pregnancy terminated. While most are indoctrinated to see this option as a selfish and cruel or even murderous one, most often than not, ironically, this is the only responsible choice one could make. This is the reason why many women keep the decision to abort by themselves and handle it alone, trusting only few close ones and worrying that people may judge them for their decision. Whether the option to abort is for you depends upon a variety of aspects. It is not easy to make a decision which is contrary to the society’s acceptable norm. Due to many restrictive laws, many women find it difficult to access abortive services –surgeries or abortion pills. The difficulty can be due to religious beliefs, family support system, personal ethics/morality beliefs, a lack of partner, level of education/employment or financial status, access to reproductive healthcare services, laws and drugs/alcohol. Abortion is not easy to go through, but nor is it a frightening choice to make. The severity of discomfort and pain of the experience differs individual from individual, so there is no one right thing to feel or to experience. You need two medications – Mifepristone and Misoprostol, to successfully terminate a pregnancy pharmaceutically. This type of abortive procedure must be done within 10 weeks of gestation (12 weeks – if you are counting from the last day of the menstrual cycle). Having a medical pregnancy termination requires at least one to three days for completion. You may be required to have an ultrasound to confirm that your pregnancy is within 10 weeks as well as to confirm that it is intrauterine. If the pregnancy is located outside the uterus (ectopic) it cannot be terminated using abortion pills. According to the rules and regulation in some places, you may be required to attend a mandatory counseling and to wait compulsorily for 24 hours to ruminate over your decision. However, many studies and research have shown that women who have walked into an abortive clinic are much more decisive about their decision than any other patients with other health conditions. The procedure includes taking one pill of Mifepristone [200mg] on the first day. After a waiting period of 24-48 hours, you have to ingest 4 pills of Misoprostol buccally, i.e. in the cheek pouches. Keep the pills in the cheek pouches for at least half hour and let them dissolve naturally before swallowing the residue of the tablets. You may have an ultrasound or a pelvic exam to confirm if you have finished the pregnancy termination completely. Having a medical pregnancy termination takes longer than surgical procedure, however many women choose it because it feels more natural than surgery. Therefore, less stressful emotionally. Many even choose it because it is more private and as a result buy abortion pills online to have the procedure done at home. There are several women who come out of this experience and feel a little bit apprehensive and yet relived that they took this step. 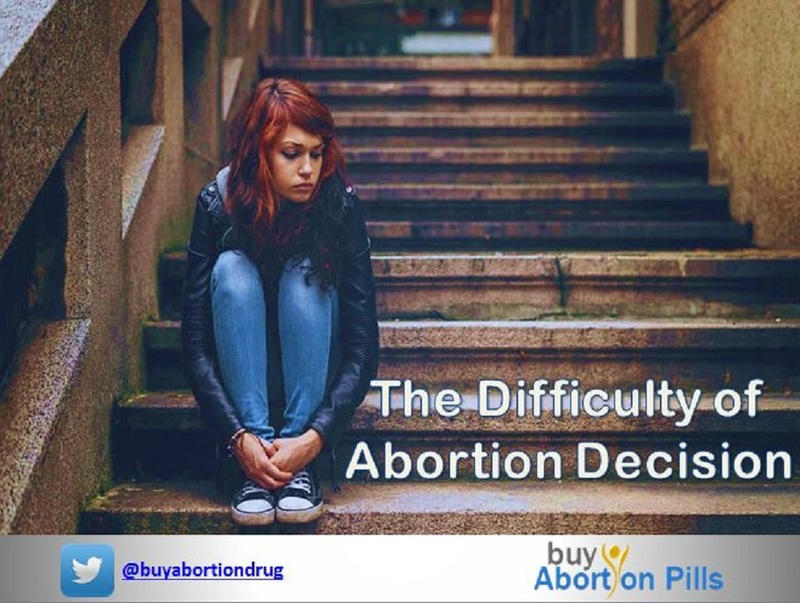 This entry was posted in Abortion and tagged abortion pills on March 1, 2017 by adbuyabpsnet.